To lose weight, you need to burn more calories than you consume. That’s a fact. And that’s why a 1200 calorie meal plan always works if you stick to it until you reach your desired weight. Also, a low calorie meal plan works best if you increase your level of physical activity. Anyone deciding they want to lose weight, be it 10 pounds or 100 pounds, will look to the “experts” for guidance. The problem is, there is a plethora of diets and programs that all claim to be the only one you’ll ever need. It’s not a bad thing to have many choices, you just need to find the one that is right for you and will stick with. Without getting into the weeds, we’ll look at the basics of a 1200 calorie meal plan. But first, we’ll start by agreeing that you should consult with your physician before embarking on a 1200 calorie plan or any diet plan, especially if you have a medical condition. If, however, you are in relatively good health, then consulting with a dietitian or other health professional should suffice. The reason being a professional will help you decide on a meal plan that “works for you” and is safe for you. Understand that just because you’re restricting calories it doesn’t mean you’re restricting the foods you enjoy. Unless we’re talking about 5 glazed donuts a day! Chances are you’ll be including food groups you’re going to learn to love. In my case, I had to learn to love vegetables. Truth be told, I’m glad I did. If you decide to go it alone, then you need to take a few things into consideration. For one thing, you want to make sure that you are eating enough calories. A 1200 calorie meal plan is the lowest you should go. I’ll say it again, to lose weight you need to consume less calories than you burn. But you need to be smart and careful. Eating too few calories will mean you’re not getting enough of the nutrients your body needs and will slow your metabolism. And that’s not good. For one thing, it will almost inevitably lead to a loss of muscle mass; this is something you want to avoid at all costs. You can read “The 1,200-Calorie Diet: What You Need to Know” for more information. 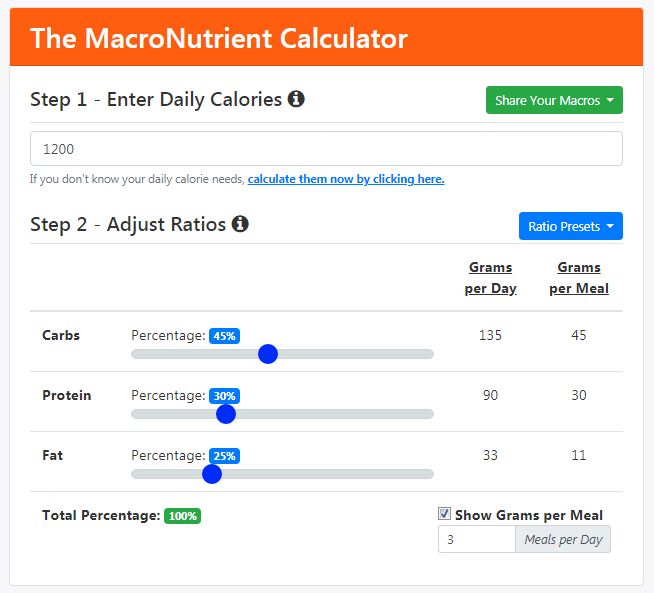 You can also do a search for “easy 1200 calorie meal plan” for more menu ideas. The 1200 calorie meal plan is most suitable for women given that they have a lower muscle mass than most men; men require around 1600 calories a day to remain healthy. That said the 1200 calorie diet can lead to some amazing results, but, as is usually the case, planning is everything. When making your choices, you need to make sure the products you choose are high in fiber, such as fruits and vegetables. In addition, high quality whole grains and protein sources are recommended. Fiber and healthy fats are filling so you won’t feel hungry all the time and give up because you’re starving and miserable. This state can definitely be avoided if you choose wisely. And, regardless of whether or not you are on a diet, you must include appropriate amounts of water in your daily routine. Staying hydrated is essential to your health and your weight loss regimen. In fact, many nutritionists and diet coaches strongly recommend drinking a glass of water before meals. The key to successfully following a low calorie meal plan is to spread out those calories over the course of the day. But, again, this will take planning. For those who want to lose weight quickly there is always the temptation to skip a meal. Resist the temptation to do so. As previously stated, not eating enough of the nutrients your body requires is harmful. This equates to 135g–195g grams of carbs per day. Healthy carbohydrates are found in fiber-rich fruits, vegetables, whole grains, and more. This equates to 30g–105g of protein per day. You have lots of choices here including lean meats, poultry, fish, eggs, nuts, and more. This equates to 33g–47g of fat per day. Heart-healthy unsaturated fats can be found in olive oil, nuts, fish, avocados, hummus, and more. “Sample Menus for a 1,200 Calorie Diet” will also give you some ideas. 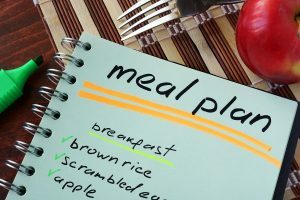 The 1200 calorie meal plan is doable; you just need to sit down and plan your meals in advance. You think it through and write it down. Then, when the time comes, you just do it. By following a 1200 calorie meal plan, combined with increased physical activity, you can shed those unwanted pounds. Don’t think of it as being on a diet. Rather think in terms of a lifestyle change that ensures a healthy outcome for the rest of your life.